Provide your passenger with the same freedom of movement and comfort you enjoy with your highway pegs. 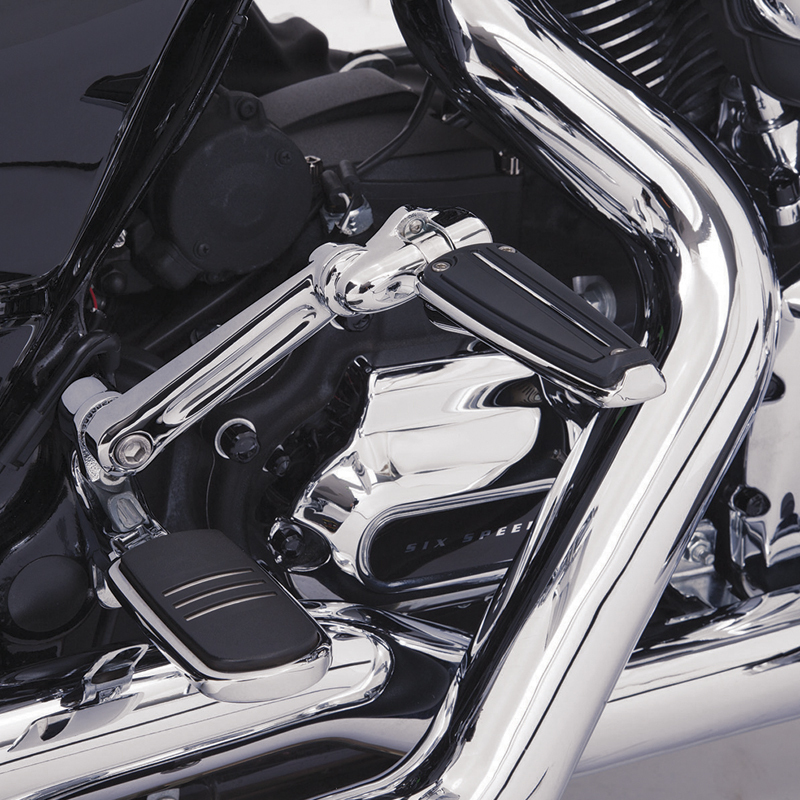 Your riding partner will love the alternative foot positions that help to make the ride much more comfortable and enjoyable. 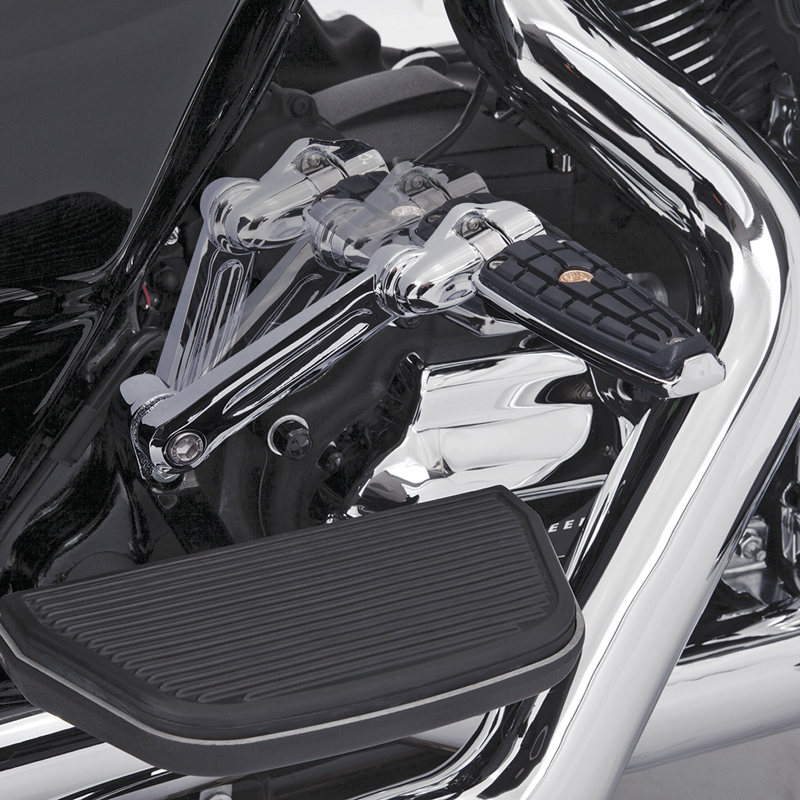 These mounts work perfectly with stock H-D passenger boards or foot pegs and are fully adjustable to suit any passenger's height. Supplied as a pair of mounts for left and right, foot pegs are not included. 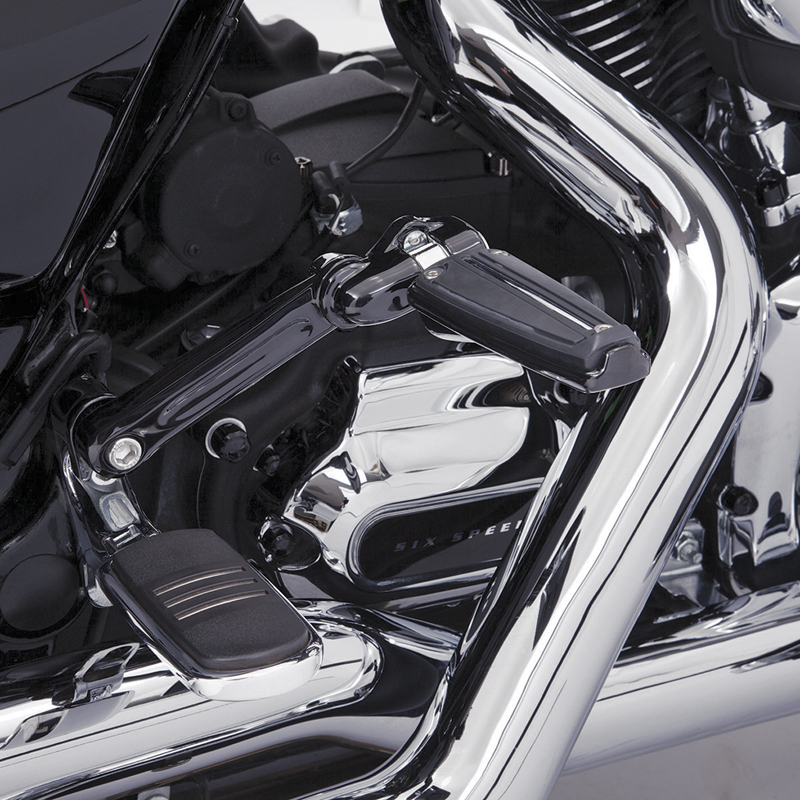 Fits 1993 to present Touring and Trike models.